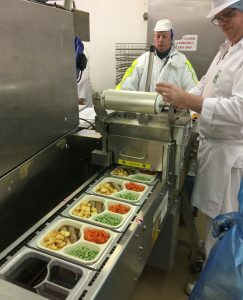 Bullseye Food Packaging supply a range of easy to use hand operated or semi-automatic sealing machines capable of meeting the needs of most community, specialist and industrial scale meal producers. We can quickly recommend which of our machines is best suited to your needs as a business. Sealing speeds vary from 6 to 30 trays per minute however, we are also able to offer a bespoke range of sealing equipment for those needing high speed capability. Depending on certain criteria we can supply FREE* machines to our tray users (* in conjunction with our quarterly maintenance agreement). Qualified staff from Bullseye Food Packaging will (subject to status) install, commission and carry out basic training FREE OF CHARGE to ALL new UK clients.